Let me start at the end and explain my “almost” comment about English fizz. 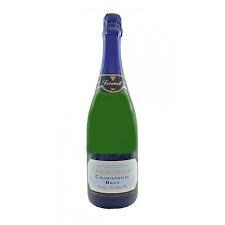 My favourite bubbly from the UK is Camel Valley’s 2009 Brut Chardonnay. I have reviewed it numerous times on this blog and really considered writing about it again, but I couldn’t as it’s sold out anyway! 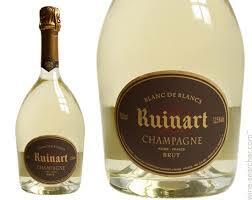 Instead I decided to look for another English Blanc de Blancs in the supermarkets with absolutely zero success. Not to be defeated, I bent the rules a little… or a lot if 100% truth be told. As many of you will be aware, I am in the process of opening a wine bar, so this was a great opportunity to try out a wine I have been eyeing up for the list for some time. 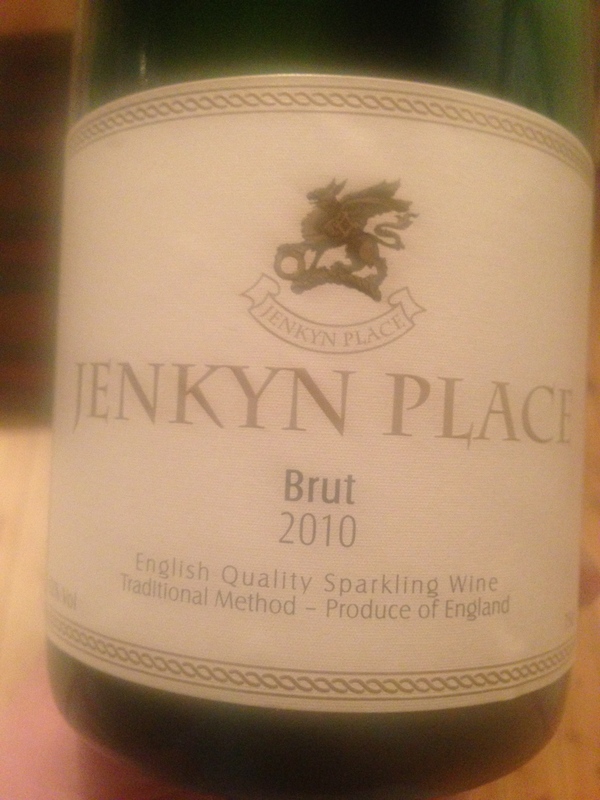 It is the Jenkyn Place Brut 2010 and it is made with Chardonnay…. Well, 60% of it is anyway! The Jenkyn Place Vineyard was founded Simon and Rebecca Bladon, who purchased Jenkyn Place in 1997. The estate is located in Hampshire, England and the first vines were planted as recently as 2004 and currently farms just under 5 hectares of Chardonnay, Pinot Noir and Pinot Meunier vines. The make-up of the 2010 Brut is 60% Chardonnay, 32% Pinot Noir and 8% Pinot Meunier and it is made in the methode traditionelle. The wine spent 42 months on it’s lees and this 2010 vintage was disgorged in October 2014. 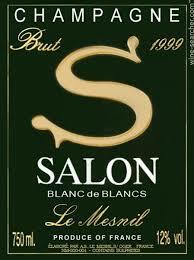 I make no apology for my little digression, but now let’s get back on track and discuss Blanc de Blancs for real. And I didn’t lie about the fish & chips; the haddock (slightly dry) and chips (superb) from the Crispy Cod in Worcester were enjoyable, but the real star of the show was created from Chardonnay alone. 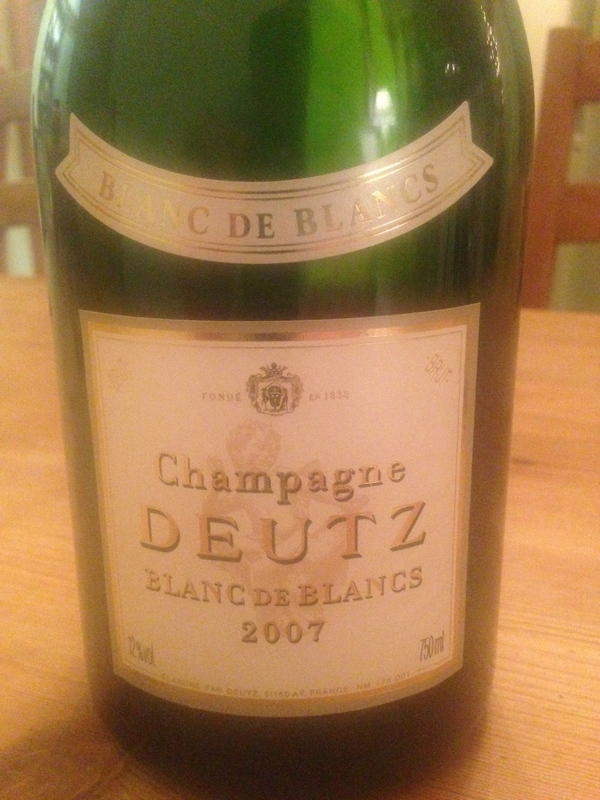 The Deutz house is based the Aÿ region of Champagne and was originally formed as Deutz Geldermann in 1838. The house was acquired by Louis Roederer in 1983 and became a fully-fledged part of the Louis Roederer portfolio of wineries in 1993. Interestingly, the house style usually high includes a high proportion of Pinot Noir, but in the very best years they produce a 100% Chardonnay Blancs de Blanc, as they did in 2007. Another reason to head the way of Deutz is their reslote stance on refusing to supply wines to supermarkets and national chains… long live the indie! The grapes for the 2007 Blanc de Blancs come mainly from Avize, Le Mesnil sur Oger, Villers-Marmery and the terroirs of Oger, Cramant and Chouilly, with over 80% of the grapes coming from vineyards that are rated Premier or Grand Cru. The grapes were pressed using automatic and traditional Coquard basket presses, and only the first press must was used. The wine was fermented in small tanks, with each plot vinified separately, before the final blend was aged on the lees for 36 months. The votes have been counted and your selection of Blanc de Blancs to represent the letter ‘B’ in the #newwinethisweek alphabet is a victory for both common sense and hedonism! For those of you who don’t know, Blanc de Blanc on a bottle of bubbly means the wine has been made using white grapes only; translated into English, the phrase simply means, “white wine made from white grapes.” The majority of wines that come from that most famous fizz region Champagne are a blend of white (Chardonnay) and red (Pinot Noir and Pinot Meunier) grapes; Blanc de Blancs Champagne will almost certainly be made from 100% Chardonnay (there are rare occurrences featuring the use of Pinot Blanc). 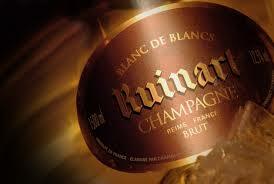 If you see Blanc de Noirs then the content will be a white wine made from only black grapes (white from black, you see). Blanc de Blancs made with Chardonnay will provide all of the characteristics you expect from a still wine made in the same region. The Blanc de Blancs of champagne are characterised by fruity aromas and flavours of apple and peach, very often with a delicious and indulgent creamy note… this is by far my favourite expression of Champagne and I am looking forward to indulging this week. There is also an increasing amount of Chardonnay being used to make Cava these days. When blended with local grapes Xarello & Parellada they produce a Spanish Blanc de Blancs, our should that be ‘Blanco des Blancos’?? 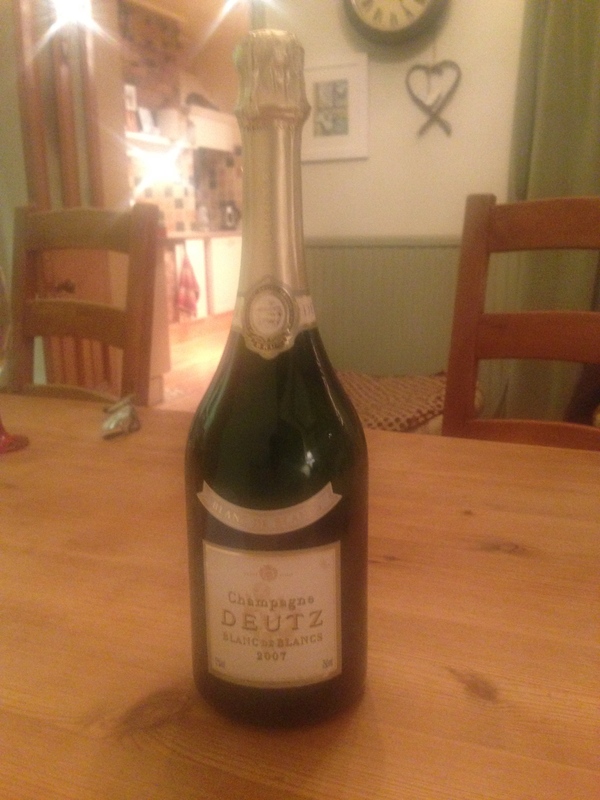 And don’t forget about the wonderful fizz of England; some of the very best are 100% Chardonnay and the thought of popping a cork is making me dribble with anticipation! There is no shortage of options this week so get on out there are find a bottle of fizz made using only white grapes; celebrate the end of January in style! Has it really been a whole week since the last newsletter? Where the hell did it go? Things are moving on apace with the wine bar; we have agreed terms on fantastic premises in Cheltenham and are awaiting the lease to sign away the next 6 years of our lives! To take all of our minds off such important matters, how about your weekly dose of information and nonsense… including some hugely inappropriate jokes courtesy of my Dad and Motörhead! There are a couple of #newwinethisweek posts this week; the first tells of my spectacular encounter with Amarone, the second encouraging you to do the right things and vote for a decent selection to represent ‘B’ in the #newwinethisweek alphabet. I beg you to vote for an exciting selection to represent ‘B’ – I don’t often beg you to click on a link, but this time I am!! 10 thing every wine lover should know about DRC – it is my dream to attend a tasting at Pinot heaven! 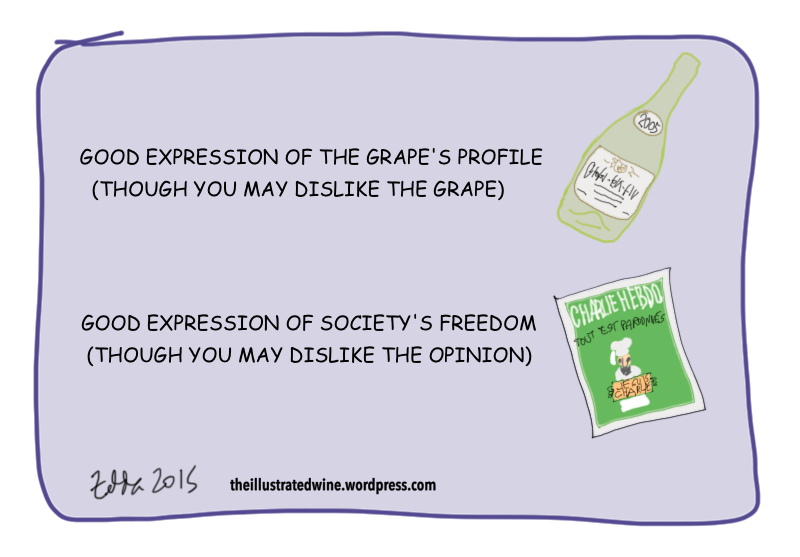 And let’s finish off with the greatest wine blog in the world! A man got on the bus with both of his front trouser pockets full of golf balls and sat down next to a beautiful woman. The puzzled lady kept looking at him and his bulging pockets. The woman continued to look at him for a very long time, thinking deeply about what he had said. Please let me know if you would rather not receive this excellent weekly email and I will take you off the list. Remember you can register on the site to receive email as soon as new articles are published. If you know someone else who might enjoy the newsletter and blog then please forward this email or drop me a mail with his or her email and I will gladly add to the list. If there is anything you would like me to write about please drop me a mail and I will do my best to oblige. 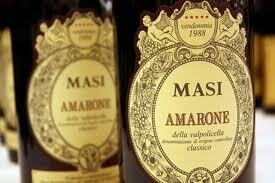 It really is an A for Amarone! I have been a bit slack with the first wine of #newwinethisweek. It has nothing to do with the massive alcohol content in January, or the sometimes eye-watering prices of the first wine… I’ve just been too bloody busy! 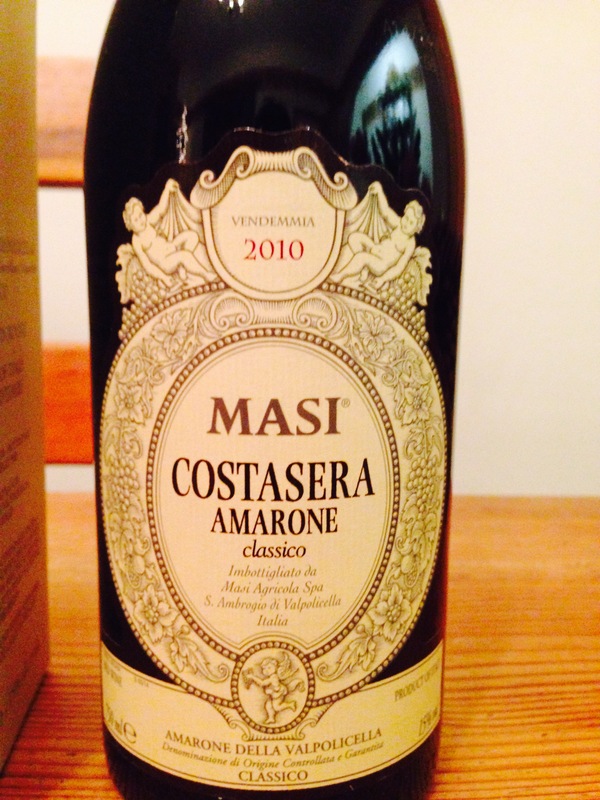 But enough of my January woes, I managed to get myself a bottle of ‘A’ for Amarone eventually. I was having a mooch around Costco today (very impressive wine range if you have a card!) and picked up a young Amarone for about £15… then I spotted a boxed wine, like you often get with grand marque Champagne, in the middle of the reds, with a familiar logo. It was the Masi logo, one of the greatest producers of Valpolicella. 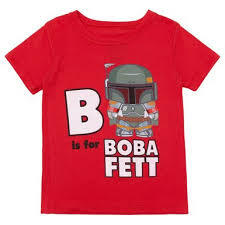 It was priced at £18.49. Wow. This is Costco; add the VAT and it came to £22.19. Still wow. We’ve seen from earlier comments that you get very little for under £20, so this looked like a real bargain (in the context of Amarone). I have one small gripe. The unboxed bottle on the shelf underneath was from the 2009 vintage, when I got home I discovered the bottle in my box was from 2010; Amarone is a wine that rewards ageing and I was a bit miffed to miss out on 12 months of maturation… but I needn’t have worried so much (although the AOC did declare 2010 only a 4* rating compared the perfect 5* in 2009 – it’s fine, I’m over it). 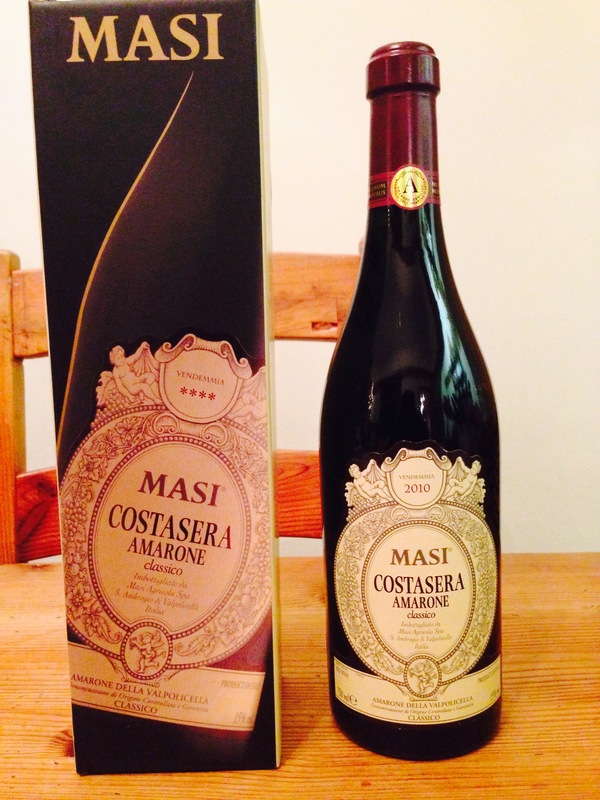 Let’s get down to the wine itself, which is the Masi ‘Costasera’ Amarone Classico 2010 (Costco £22.19). Costasera the name of the vineyard from where the grapes are sourced; the slopes face the sunset and the Masi winemakers believe these west-facing slopes reflecting in Lake Garda to be the superior sites for growing Corvina, Rondinella and Molinara in the Valpolicella Classico region. The grapes are dried on bamboo mats for around 100 days in temperature and humidity- controlled- rooms, before being pressed. The wine is then aged for 24 months; 80% in huge Slavonian oak casks, 20% in small Allier and Slavonian oak barrels (40% new, 30% 1 year old, 30% 2 year old) and then aged for a further 4 months in bottle before release. If ‘A’ is anything to go by, 2015 is going to be a great year for #newwinethisweek! Not a common name on the UK shelves but, believe it or not, Bonarda is the second most planted grape variety in Argentina. I love trying new stuff but worried we’re going to have an issue getting hold of this one. We’ve done Italy for “A”, we did Barbera in week 4 2014, and do you really want to spend £30 in January to get anything decent from Barolo? 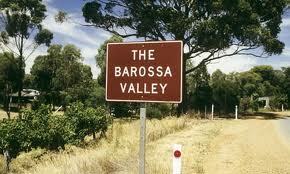 The home of Shiraz but there is so much more to the Barossa. The valley is also home to some word class Riesling, Semillon, Grenache, Cabernet Sauvignon and some fabulous fortified wines. Fizz was very popular in #newwinethisweek last year; how about trying fizz made from white grapes only? Blanc d Blancs is my preferred style of Champagne (BdB is also made in most fizz producing regions) and if you thought you didn’t like Chardonnay, this selection may well change your mind. 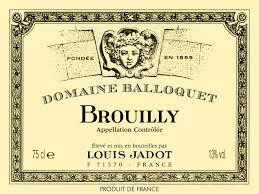 The largest of ten “Crus” in the Beaujolais region, Brouilly shows the Gamay grape at its freshest and most vibrant. 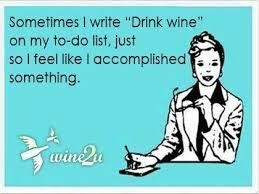 Until then I’m just twiddling my thumbs and looking for stuff to do… I wish! 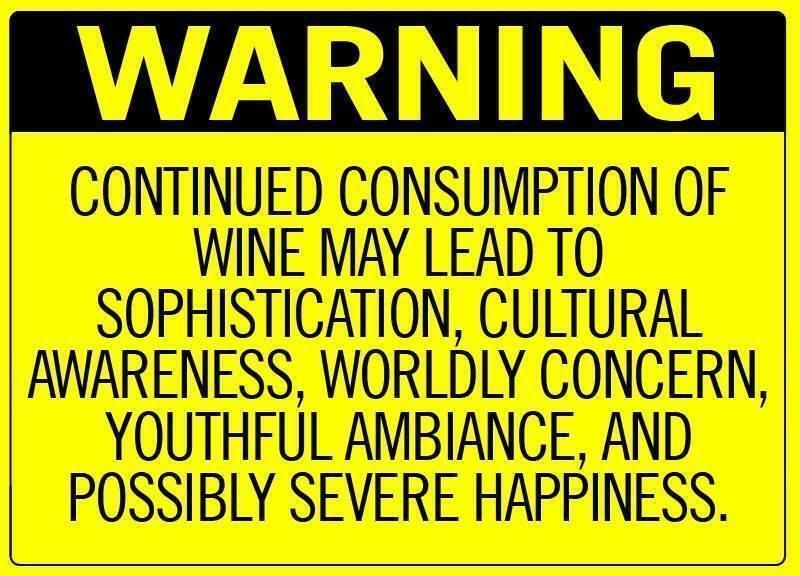 But I haven’t forgotten about you all so here is your weekly dose of wine info and nonsense, all packed into one perfectly formed Wine Geek Newsletter! 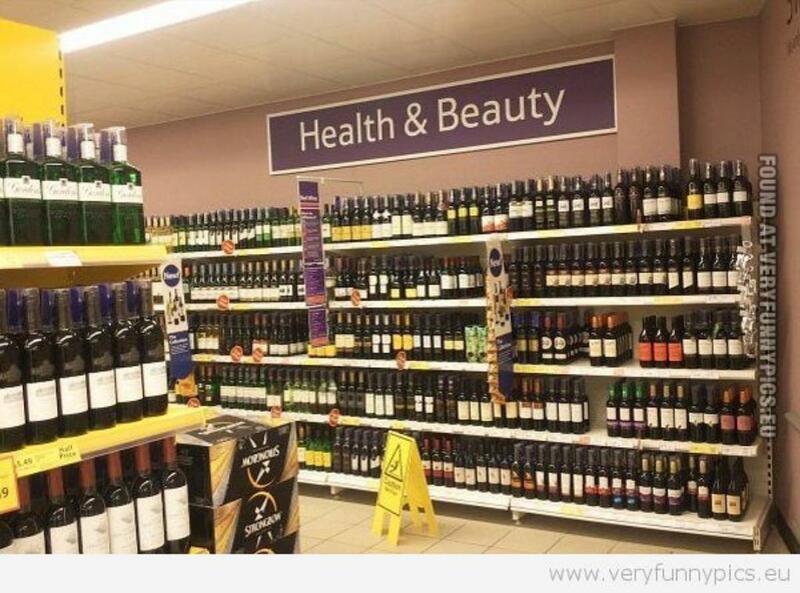 Don’t bother looking for Champagne. You won’t find anything as good as this for the twice the price. The domaine is owned by Bollinger and we visited the tasting room just outside Saumur about 18 months ago. They sell it for about €8 there… but don’t let that put you off! This is fruit-driven bubbly goodness, with loads of crisp apple and citrus. It’s a Bland de Blancs made from Chadonnay and Chenin Blanc and you really get that honeyed hit from the Chenin. Lovely stuff. Albariño has been “then next big thing from Spain” for a while now. I love the stuff, that delightful mixture of clean citrus, peach and that lovely salty finish… but it is about to be usurped by it’s Galician neighbour, Godello. I don’t actually like the Codax Albariño but the Godello is packed with apple and melon flavours, a lovely rich texture and just a delightful floral finish. If you having fish, have Godello too. Ah, didn’t Picpoul become the “cool” choice a couple of years ago? Well I’m still in! Along with Muscadet this is a wine that should never go out of fashion because there is simply nothing not too like. It was perfect with my homemade prawn curry; citrus and crisp apple, ocean-fresh, you can almost taste the Mediterranean sea on the finish. Don’t make the mistake of thinking this one is just for the summer. This is a great go-to wine. I love Burgundy but have you tried getting a decent bottle under £10? I gave up 5 years ago! This has a meaty and ripe cherry nose with a lovely minerality and smoky note. The fruit just explodes onto the palate; cherries, raspberries and even a touch of blackberry. Great intensity of fruit and a delightful texture; very good wine. I may have recommended this one a couple of time before… it remains the best red wine under £10 in the UK (when it’s in promo – and it nearly always is in either Majestic or Waitrose). I went in with the intention of picking up the Chapoutier CdR but they have moved onto the 2013 vintage – I like a few years on my Grenache. Brambly black fruit and smoke with delicious hints of dried herbs and just a touch of liquorice. Slightly chewy tannin upfront before the dark fruit shines through with a great blast of smoke and black pepper. More Cru quality than lowly Cotes du Rhone – stock up. Well there’s tonnes of the stuff! Wine Searcher reports stabilisation in Burgundy prices…. At last! Tasmania – one of the best wine regions in the world? Italy declares war… against radical Prosecco! It only rains twice a year in Manchester: August to April and May to July. Because then the children have to play inside. Why do hurricanes travel so fast? Because if they travelled slowly, we’d have to call them slow-i-canes. Jill: How did you find the weather on holiday? Bill: I just went outside and there it was! There’s a technical term for a sunny, warm day which follows two rainy days. Gosh, it’s raining cats and dogs, said Fred looking out of the kitchen window. You can’t weather a tree, but you can climate! How do sheep keep warm in winter? What did Santa Claus’s wife say during a thunderstorm? Come and look at the rain, dear. Why did your sister cut a hole in her new umbrella? Because she wanted to be able to tell when it stopped raining. What kind of umbrella does the Queen carry on a rainy day? What a blockbuster start to the year… if you’re having a wine-free January, or even trying to stick to lower alcohol wines, then unlucky because you have chosen Amarone to kick off #newwinethisweek! Pleasebringmemywine.com – it’s all your fault! Amarone is one of Italy’s truly iconic wines. From the Veneto region in Northeast Italy, Amarone is a rich, full-bodied, high- alcohol red wine that is made in a very special way. The full name for the wine is Amarone della Valpolicella, which roughly translates as “the bitter one from Valpolicella). The grapes used to make this bombastic wine are Corvina (anywhere between 45% and 90%) and Rondinella (5% to 30%) and you will be hard pressed to find them growing anywhere else outside Veneto. The same grapes are used to make the fruit-forward, easy drinking wines of Valpolicella and Bardolino, but making Amarone is a pain-staking and lengthy process that produces intensely rich wines, the best of which compete with the finest wines of Barolo and Brunello as the greatest wines of Italy. Most of the richest red wines come from hot climates; Valpolicella is a cool climate region, usually producing red wines with good levels of acid. The grapes for Amarone are left on the vine until mid-October to allow the grapes to fully ripen and concentrate the sugars. But that is still not enough; the grapes are then allowed to dry on straw mats to dry and shrivel, a process the Italians call appassimento. A well as concentrating the juices in the grapes, the process also increases the skin contact of the grapes, increasing the colour and tannin in the finished wine. 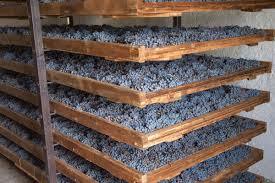 The length appassimento is usually around 120 days, during which time the grapes will lose up to 40% of their weight. The grapes are then crushed and go through a low temperature fermentation process, which can last up to 50 days, the finished wines are then put into barrels and aged. Most of the wines are not released until at least 5 years after the vintage, making Amarone a very costly wine to produce and usually a very expensive wine to buy. My advice for this selection is don’t skimp on price. If you pay less that £10 you are not going to get a great wine; just remember the process this juice has gone through. 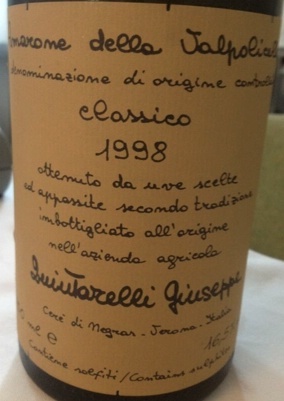 I once had the opportunity to try a 1998 Quintarelli Amaraone and it was one of the 10 best wines I have ever tasted; it came with a price tag close to £400 (don’t worry Mum, it wasn’t me paying!) but also delivered aromas and flavours of cherry, fig, tar, chocolate, truffle, tar and flowers and hid it’s behemoth 16.5% very well indeed! Some names to look out for who produce Amarone at different price levels are Zenato, Tommassi, Tedeschi, Masi and Allegrini. I’ve included a few readily available bottles below, but hand up, I haven’t tried any of them… yet! So give Amarone a go, even if it means giving up your January good intentions! Wow, didn’t 2014 disappear in a flash? One of the reasons was the introduction of #newwinethisweek, where we selected a different wine for you to try every week for the whole year. Thank you so much to those of you who took part, especially those of you who took the time to vote and to leave our reviews. A special shout out has to go to John Stephens (follow him on Twitter @john_cstevens), who’s weekly reviews were detailed, eloquent and full of enthusiasm however good (or bad) the wine. And of course, a huge thank you to the fantastic Zelda, who writes/draws the brilliant theillustratedwine blog. The 2015 votes have been now counted and verified and I can reveal your favourite white wine of 2014 was Californian Chardonnay, you voted Rhône Syrah your favourite red and the best fizz came from good old Blighty – I can’t tell you how happy I am about this! Below is the full table with link to each of the weekly introductions. Where the wines finished in the table wasn’t really the point, all we hope is that you tried and enjoyed some different wines in 2014. 50 Week 42 Alcohol free Anywhere! No votes! There will be a few changes in 2015 and Mike will taking more of a lead over at his site www.pleasebringmemywine.com . The recommendations will be fortnightly this year, with each selection corresponding to a letter of the alphabet… 26 fortnights, 26 letters in the alphabet! 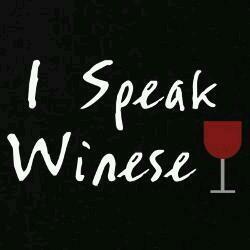 We hope the extra week will give everyone a better opportunity to source and try the wine. 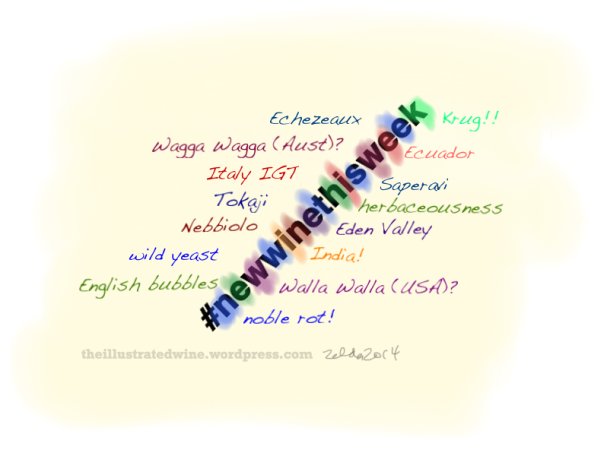 The other change is that it will be up to you to choose the #newwinethisweek subject every 2 weeks. Have a look at the options for “A” by clicking on the link below and help decide what you will be tucking into next year. The vote will always take place on Mike’s site and I will focus on an overview of the chosen wine every other week on Confessionsofawinegeek. Mike and I look forward to another year of challenging your taste buds and daring you to be different. With your help let’s make #newwinethisweek a massive success and get as many people involved as possible… because what’s better than finding a new favourite wine? Drink well and have a great 2015! A Happy New Wine Geek Year! It’s not a real newsletter this week, just an opportunity to say Happy New Year to you wine lovers, to wish you a fantastic 12 months and to talk about what’s coming your way in 2015. It’s been a heck of a year on http://www.confessionsofawinegeek.com with you lot dropping by 25,000 to read 125 new posts. #newwinethisweek has been a great success and both myself and Mike from http://www.pleasebringmewine.com hope you have discovered some new favourites along the way. I reckon I’ve tasted over 500 wines this year, had my first taste of Dom Perignon Champagne and Chateau Lafite, attended more than 20 tasting events and tried a wonderful wine from 1934. But the real highlight was the trip to California… so much so that I felt the need to give you the opportunity to share my love one more time by re-publishing the links for you to follow! Sonoma – the most exciting wine region in the world? 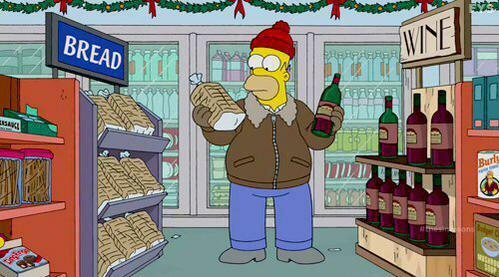 As most of you know, 2015 is going to be a big year for the Wine Geek. The Fish and I have decided to lump in and move from the virtual world to the real world and open a wine bar. We sold our house and finished our jobs just before Xmas and are currently living with the in(out)-laws as we continue our search for the perfect premises; we want to open a place that has the spirit of #newwinethisweek at it’s heart, with a plethora of grape varieties from all over the wine world. The posts in 2015 will be focused on the new business and we hope to see many of you when opening night comes along. 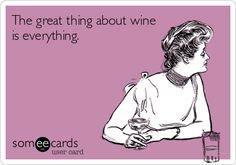 Until then, we want to wish you an amazing 2015 and keep your wine glass full! Cheers and have a great 2015! The final instalment of my wines of the year looks at the best fizz and best sweet & fortified wines of 2014. 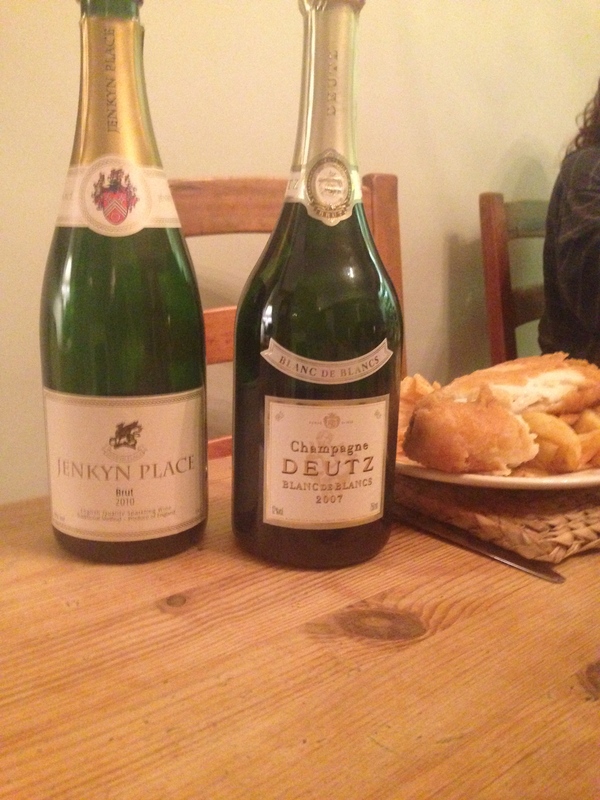 The sweet section includes my very favourite wine of the year, but first of all let’s gets going with the bubbles. Now it’s onto the sticky, sweet stuff and what a year it’s been for sweet wines. 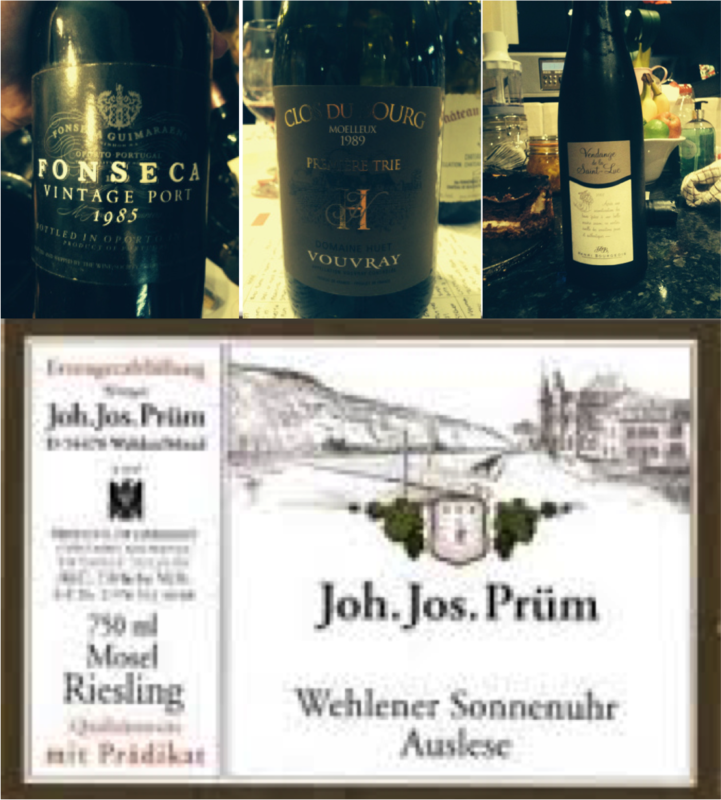 Let’s begin with my very favourite wine of 2014, thank you JJ Prüm! And how about a terrific sweet Riesling from New Zealand? 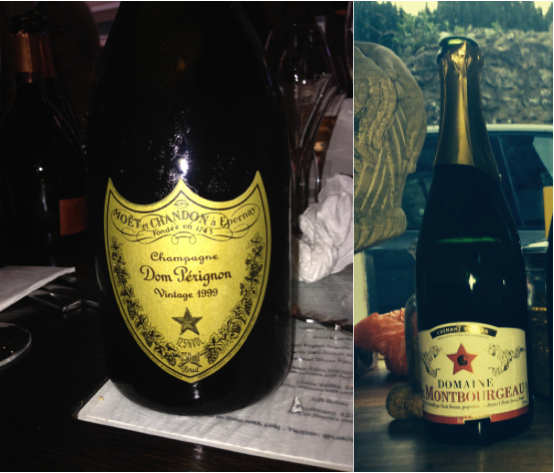 It’s been a brilliant year for trying some totally amazing wines… I can’t wait to start all over again in 2015!